Nicholas Brodie Hardeman was born to Dr. John Bellefont Hardeman and Nancy Jane Hardeman on May 18, 1874, near Milledgeville, McNairy County, Tennessee. He was baptized by R.P. Meeks while attending West Tennessee Christian College in 1890. In June of 1895, he graduated with a B.A. degree from this school which later became Georgie Robertson Christian College. He later received the M.S. degree from this same school. He began his career as an educator in the rural schools of West Tennessee. He was a member of the faculty of Georgie Robertson Christian College for eight years, 1897-1905. In 1908, he and A.G. Freed established the National Teachers' Normal and Business College. It was renamed Freed-Hardeman College in 1919. Hardeman served as Vice President from 1908 to 1920. He served as co-president with Hall L. Calhoun from 1925-1926. Then served as president from 1926-1950. Hardeman studied the Bible under R.P. Meeks, A.G. Freed, and Hall L. Calhoun. The text of his first sermon was Romans 1:16. Hardeman was an excellent teacher and expected the very best from his students. If there was one thing that he disdained it was "generalities." Constantly he bemoaned what he termed a "smattering" knowledge of anything. He believed in thoroughness, no matter what the subject was. It was never enough to have a general knowledge of the contents of any subject. "Professor" Hardeman, as he was usually called, believed that one should be thoroughly grounded in all the fundamentals. For example, no student was educated until he learned how to spell, how to write a decent hand, so that it could be read without difficulty, how to properly word and diagram a sentence. Thus he always stressed accurate spelling, neat and legible handwriting; also correct answers in the fewest possible words to any question. Over and over he emphasized the fact that he could state what he believed on any subject on a post card and still have enough room to add, "Bring all your folks and come to see me." Although he was well versed in the American Standard Version, and most of the modern translations, Professor Hardeman always stuck to the King James Version when quoting from the Bible. He was well aware that quite a few words in the King James Version were archaic, but he was equally aware of the fact that many modern translations are not translations at all, but rather a commentary on, or else a substitution for, the original. During his almost 60 years as a teacher, perhaps more than 20,000 students sat at Hardeman's feet and studied the Bible and related subjects, many of whom are still living and carrying on the spirit and ideals which Hardeman imbued into them. Eternity alone will reveal the far reaching influence that he has already had, and will continue to have in the life and work of his thousands of students. And, like a succession of waves upon a lake, they continue to roll on and on toward eternity's shore. Hardeman was a debater, not that he "picked on" anyone for a debate, but he did willingly accept a challenge. His first debate was held with I. N. Penick, eminent Baptist educator. Hardeman had been preaching only two years and was only 25 years old. Without a doubt he took care of the situation adequately. His last debate was with the "wiley" Ben M. Bogard in Little Rock, Arkansas. There were many debates between the one with Penick and the last one with Bogard. All of Hardeman's debates were highly effective but the ones with Boswell and Bogard were truly historic and rank among the greatest debates in history. The Boswell-Hardeman Debate on instrumental music in Christian worship conducted in the Ryman Auditorium in Nashville, Tennessee, May 31-June 5, 1923, and attended by thousands, broke the back of digression in Tennessee, and was the greatest single factor in ending all further efforts by Christian Church preachers to justify scripturally their innovations. Every gospel preacher should have the Boswell-Hardeman discussion in his library, and should thoroughly familiarize himself with the arguments made. The Hardeman-Bogard debate, conducted in Little Rock, April 19-22, 1938, is, in many respects, the greatest debate ever conducted with the Baptists. Hardeman was a great preacher in the true sense of the word. He believed that the Bible should be preached with conviction and power. He did this as a gospel preacher. He was fearless in his proclamation of the word of God. As a preacher, Hardeman was eloquent. He was second to none as an orator. He would hold an audience spellbound as he with true eloquence preached the gospel. By the oratorical power of his preaching, multiplied thousands were persuasive. He taught the way of the Lord. 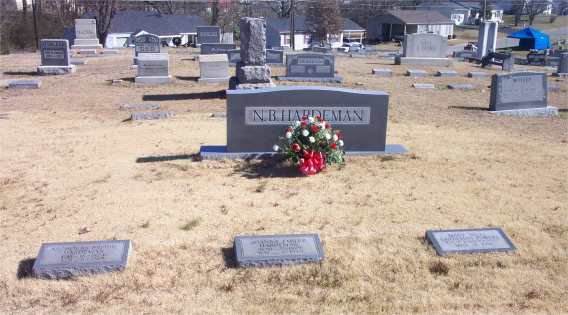 Historians have written and will write of N. B. Hardeman as one of the very great preachers of all time. Another characteristic of the greatness of Hardeman as a preacher was the sincere simplicity of his sermons. He spoke "not with excellency of speech or of man's wisdom." The wisest of earth as well as the children could understand him. His thoughts were profound but were expressed with such simplicity that all could comprehend. This was indicative of greatness in heart and effectiveness in communication. Although he never accepted an appointment as a local minister, he delivered thousands of sermons, seven volumes of which have been published. In his teaching at Freed-Hardeman College, and through his published sermons, he has influenced countless young preachers in their presentation of the gospel message. Hardeman conducted many gospel meetings especially in the southern States. One of these at the Union Avenue Church at Memphis, Tennessee, resulted in 84 baptisms with 14 others during the week that followed the meeting. Some who became angry in the early part of the meeting returned later to obey the gospel. It is doubtful that any one man had more exact information regarding the history and geography of Bible times than did he, and surely no one could teach with greater clarity. Hardeman was at his best in the classroom. Freed-Hardeman College exists today because of N. B. Hardeman and A. G. Freed. Their dreams, ideals, and sacrifices brought it into being and these same things have kept it serving a worthwhile purpose until today. To his family Hardeman was kind, just, overgenerous, and gifted with a superb sense of humor. He not only preached to them lofty principles of honor and service, thrift and industry, but first practiced them himself. He was strongly supported by his beloved wife who had one basic rule of conduct: "Don't do anything that will reflect on your daddy." The early feelings that the children had toward their father were natural love and devotion; and after growing up, they changed to the deepest admiration, adoration and appreciation. The children never heard a filthy word issue from him, nor a vulgar one, nor a profane. As early as the children could remember their father was a hero to them. Whatever he did or had them to do, they felt was right, though they didn't always want to do it. They always had the feeling that he was special, a man of destiny, a rock and a tower. He never had a broken bone, had his natural teeth, and fast growing silver hair, with never a bald spot. He was in a hospital only once for treatment before in his life, until in November, 1965. On August 31, he went to Shelbyville, Tennessee, for six nights at the Walking Horse Celebration, an event he had not missed in its 27 years of existence. On October 30, in the evening he was watching the Lawrence Welk show when he began to feel so uncomfortable that he retired. An hour later, he was seized by a severe chill, and on the doctor's advice, went by ambulance to the Baptist Hospital. At first, there was the suspicion of pneumonia, but after thorough testing, only a bladder infection appeared. This was yielding to treatment, and with the constant attention of his doctor, his three nurses and his family, he seemed to be improving. On the last day of his life, November 5, he greeted his family so cheerfully that they were deceived into thinking he was much better. He joked with the nurse that morning as she urged him to drink more fluids. Later in the morning, he murmured, "I wish brother Comer were here." When asked, "Which one, Papa?," he replied, "Brother R. W." Little could his family dream that he was within hours of joining his great friend and benefactor. 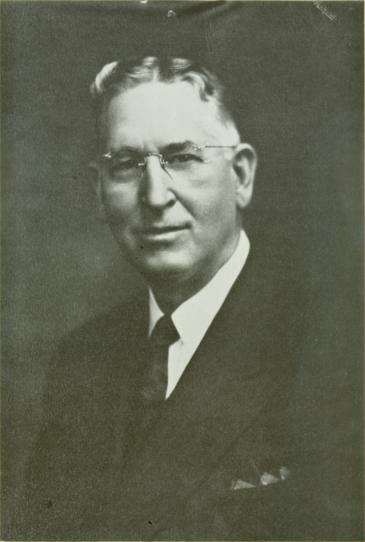 R. W. Comer had supported all five of the Tabernacle Meetings, as well as other efforts of Hardeman, and on his death in August, 1944, had provided in his will for an endowment of $200,000 for the college N. B. Hardeman had helped to build with "toil and sweat, blood and tears." Near midnight on November 5, 1965, Hardeman suffered a stroke, and in less than three hours, that noble and courageous spirit ebbed gently, but steadily, into eternity. His family stood by in helpless anguish, the nurse worked over him frantically, and in constant attendance was that brilliant and compassionate young Christian doctor, G. Dan Copeland, so we knew that all was done for him that mortal hands could do. Now he has joined the "Choir invisible of those immortal dead who live again, in minds made better by their presence" while our hearts are filled with a great deep loneliness. This has been eased by the torrent of kindness, love and sympathy that has surrounded us. At his funeral, on November 8, 1965, at the Highland Church of Christ in Memphis, his dear friends J. M. Powell and B. C. Goodpasture spoke in eloquence; his son gave from his heart a message of tribute; Stoy Pate and W.B. West worded beautiful prayers; Paul Brown led congregational singing of his favorite hymns. At the graveside in Henderson, where a host of grieving friends surrounded him, B. B. James spoke the final words of love and respect and prayed the final prayer. 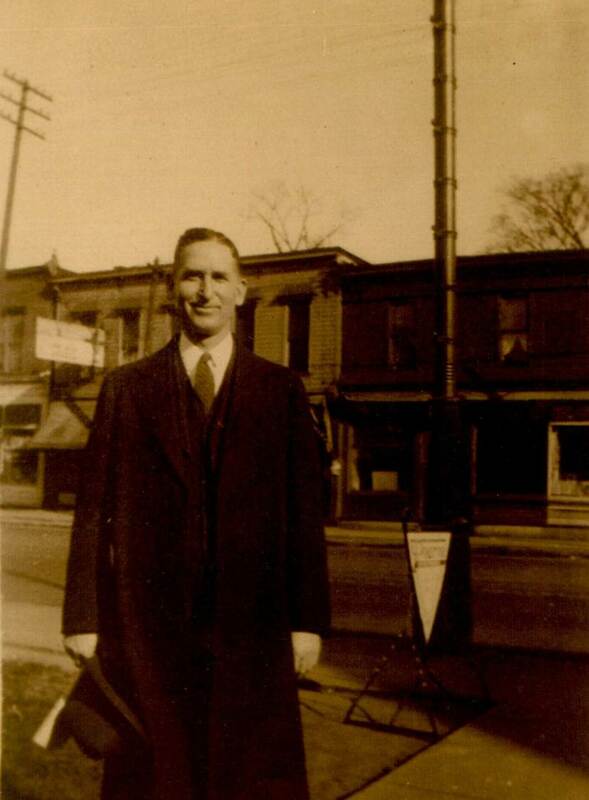 Dr. J.B. Hardeman, Brodie's father, moves to Henderson and places membership with the church on December 30. Brodie's brother Dorsey, dies at age 22 of pneumonia. A.G. Freed comes to Henderson to become president of West Tennessee Christian College at age 32. NBH is in his fourth year. At 23, NBH graduated from the Scientific Class, delivering the oration, Life is not a victory, but battle. NBH's first gospel meeting. A.G. Freed was scheduled to preach a meeting at Juno, (out from Lexington, Tennessee. For some reason couldn't make it, and sent young Brodie Hardeman in his place. Brodie returns to Henderson, to the new Georgie Robertson Christian College, joining the faculty – H.L. Calhoun made opening speech. While teaching, Brodie attends GRC as a student working toward his M.A. Brodie graduates from Georgie Robertson College with M.A. Presents diplomas to Business Class and "Joe Kendall Tabler" gave the Salutatory Address and she graduated in from the Scientific Class. The Henderson Church building is completed & first meeting across from the corner of A.G. Freed's home. It was built on property contributed to the church of Christ by Dr. John B. Hardeman, NBH's father. NBH serves as superintendant of Education in Chester County. A.G. Freed returns, and together with NBH a new school is started, and a new building is built, called the National Teacher's Normal and Business College. Death of Mrs. Ellen "Grandmother" Hardeman at Marl Bluff, near Centerpoint, in Chester County, TN. Debate between NBH and Ben M. Bogard of Little Rock, Ark held at Refuge church of Christ – Four day debate; This was the first of four debates he had with Bogard over the years. A meeting takes place that had been called on January 13: a call for a meeting of church leaders in West Tennessee to discuss the work to take place in Henderson. Met with strong disapproval by David Lipscomb in January 20th issue of the Gospel Advocate, rebutted by A.G. Freed & others. Family moves to corner of White and 2nd St. into the home of "Uncle John McCulley" to care for him, as his wife, Josie's aunt, had died just after Christmas. This location is where they spend rest of their lives, but not in this house. The house is moved in 1915 to another lot, and a new house is built in its place. E.N. "Daddy" Tabler, Josie's father, dies. Four-day debate in Booneville, Miss. With D.A. Leak and NBH on the subject of instrumental music. Third Sunday in July, Marshall Keeble brought in by NBH and other brethren to start a work among blacks. Oak Grove church begins. In 1925 Keeble commented that he believed it to be the largest black congregation in the brotherhood. A board of trustees purchased the NTN&BC from Freed and Hardeman for the price of $30,000.00, to be divided equally. They renamed the school, Freed-Hardeman College, much to the discouragement from both men. Freed continues as president, NBH as V.P. First Tabernacle series at Ryman Auditorium in Nashville. 6000 to 8000 in attendance, and est. 2000 turned away. Over 40 congregations in the Nashville area participated in the planning. The three week meeting involved 22 sermons, and saw over 200 baptisms, and 30 restorations. NBH & A.G. Freed leaves F-HC. A.G.F. moves to Nashville to work with David Lipscomb College as vice-president & principal of High School. NBH goes into evangelistic field. 2nd Tabernacle Sermon series at Ryman Auditorium. Resulted in over 100 baptisms, and a number of restorations. Est. as many as 7000 in attendance on each of the final two evenings. Beginning of the first of nine annual tent meetings held on the grounds of Shiloh National Battlefield. Thousands attended from all over the south to come to this meeting each year. NBH Lectured at the Ryman Auditorium, Nashville on "Egypt And The Holy Land"
Held four meetings through the year in Detroit, Michigan. One in April was a joint-effort with churches in the city. Attendance was between 800 and 1800 each night. The Hardeman's home caught fire, being seriously damaged, but not destroyed. Young Dorsey develops tuberculosis – goes to Gainesville, Fl to for change of climate and attends University of Florida. Third Tabernacle Sermons at Ryman Auditorium, with A.G. Freed sitting on stage. 21 sermons preached, B.H. Murphy led singing. Henderson church building burns as it was being readied for a meeting. Two workers were starting a fire in the old furnace. Build caught fire and burned to the ground. Only the steps survive. A contribution of some land by J.W. Brooks family of Athens, Ala. Sold to the U.S. Government for $23,000.00 as part of Wheeler Dam project-land that was immersed under the waters of the Tennessee River when the Dam was complete. The money saved the school from "going under." Held four meetings in Texas in 1938. Longview in March, Pampa in June, Sweetwater and Waco in July. Cooperative meeting in Mayfield, Kentucky with over 16 congregations in Graves County coordinating the meeting. 16 congregations cooperate to host NBH for a meeting in Harlingen, Texas. Harlingen Municipal Auditorium seating 3000 was filled to overflowing. "Miss Joe" is with him, not something she always did. Son, Dorsey was in attendance; the last time they saw each other. 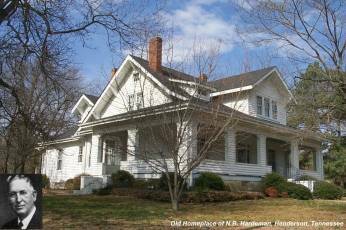 NBH remarried, Annie Brown Ward in the home of her brother in Pulaski, Tennessee. L.L. Brigance performed the ceremony. Cooperative meeting in Houston, Texas with NBH. At the Music Hall for one week- 22 congregations involved. Montgomery Meeting at West Side Church – two wire recordings of NBH's sermons were made. Now possessed by the family. Moved To Memphis, but placed his membership with no congregation. He was continually involved in meeting work, conducting nine Gospel Meetings that year. Gospel Advocate, open letter from former student Carroll Wrinkle apologizing for his part in mounting an organized attack on Brother Hardeman in 1950 that led to his departure. Wrinkle admitted it was a conspiracy, and openly begged Hardeman's forgiveness. NBH suffered a stroke, leading to his death within three hours. Funeral at Highland church in Memphis, Tenn. J.M. Powell & B.C. Goodpasture spoke. Dorsey gave and impassioned eulogy, Stoy Pate and W.B. West led prayers. B.B. James conducted the brief graveside service at Henderson Cemetery. 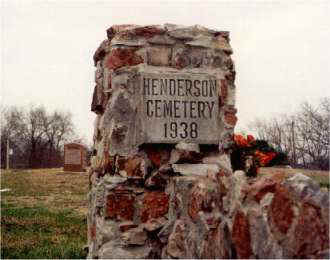 Nicholas Brodie Hardeman is buried in the City Cemetery at Henderson, Tennessee. From I-40 in West Tennessee, take the Hwy 45 exit south. Go through the city of Jackson, and continue south about 15 miles to Henderson. You will be on the bypass in Henderson. Go to you come to Hwy. 100. Turn left and go to the next stop. Turn left on North Church St.. Go about 100 yards and turn into the cemetery on the right. The cemetery will fork close to the entrance. Take the left fork and head up the rise to the peak of the hill. Stop the car and look to the right. You should see the Hardeman Plot. N35° 26' 22.0" x WO 88° 38' 43.3"